On college football's biggest stage, against college football's most storied program, it was a freshman that had a career day to push his team to the National Championship game. 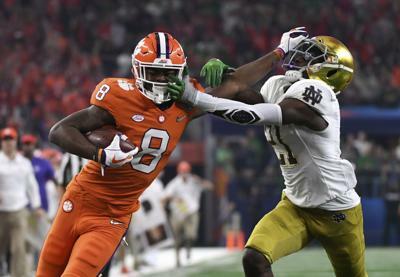 Clemson Tigers wide receiver Justyn Ross looked like a man among boys as he ran past, around and through the Notre Dame Fighting Irish defense for an easy Cotton Bowl win. Ross helped the Tigers bust the game open in the second quarter, catching both of his TD passes from 40 yards or more out. Overall, he hauled in six catches for 148 yards, both were career highs. Considering the throws were coming from a freshman QB, this is probably not the last we'll hear from Ross. Starting next week, when the Alabama native faces the home state Crimson Tide in the National Championship Game Ross is a surprise but worthy, Sportsman of the Week! 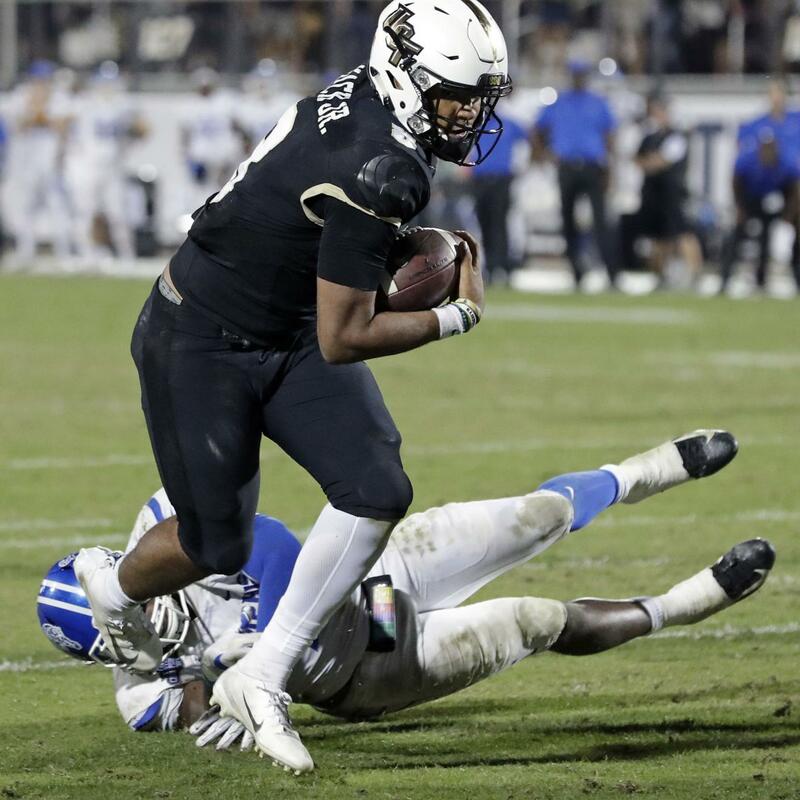 The College Football Bowl Season continues through the pre-Christmas slate and another unheralded star has emerged. 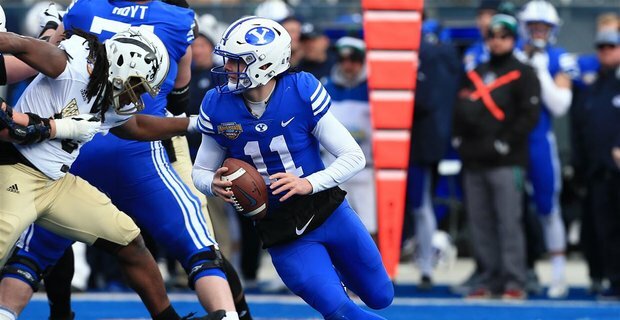 Brigham Young University freshmen quarterback Zach Wilson put his team on his back and led the Cougars to a decisive 49-18 victory over the Western Michigan Broncos in the Famous Idaho Potato Bowl. Yes, the one on Blue Turf. However, it was that turf that none of Wilson's passes actually hit. He was a record perfect 18-18 in passing with 4 of those resulting in touchdowns. Lest you thought he was just throwing easy short routes, he eclipsed 300 yards (317 to be exact) and no, none of his passes were caught by the other team either. BYU finished a transition season at 7-6 but is positioned strongly for the future, with our Sportsman of the Week a talent at QB to watch for years to come! It's the most wonderful time of the year! Also known as Bowl Season. The Las Vegas Bowl is typically one of the more elite bowls in the first weekend of the 40 game Bowl matching up a Pac 12 school and Mountain West Champion. For the third year in a row, the Mountain West Champions took the bowl. 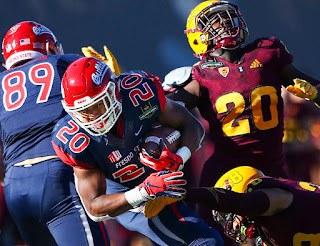 This year, led by a strong running performance, the Fresno State Bulldogs defeated the Arizona State Sun Devils 31-21. Bulldog RB Ronnie Rivers torched the Sun Devils for 212 yards on 24 carries, both career highs. Add two touchdowns and 4 catches and he was clearly the man of the match. His two touchdowns were the last two of the game and the only points for the Bulldogs to put away the Sun Devils. As the bowls get bigger, there may not be a bigger running performance than Rivers, and he is the Longhorndave Sportsman of the Week! The NFL playoff run is in the home stretch and big games call for big players. 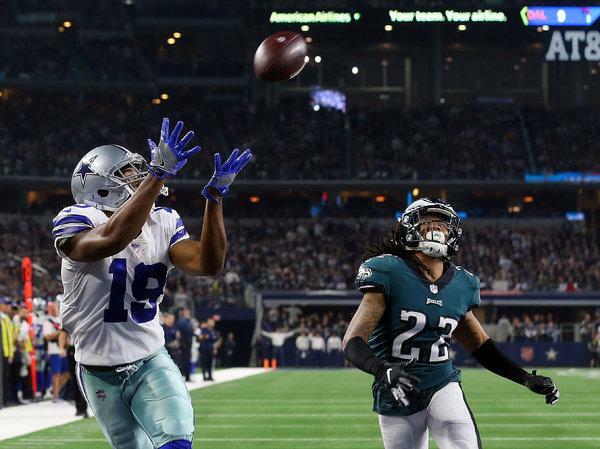 None were bigger than the Dallas Cowboys WR Amari Cooper against the Super Bowl Champions to essentially seal the division for his teams. Cooper was a much talked about acquisition at the trade deadline, some feeling that it was a waste of a draft pick, others thinking it was finally the Cowboys answer for a go to receiver. The latter were right. Cooper had the biggest game of his pro career in dismantling the Philadelphia Eagles. In the end, he hauled in 10 catches for 217 yards including 3 TD. The last TD the biggest in overtime, as the Cowboys possessed the ball for over 8 of the 10 minutes, the last play being Cooper going into the end zone. This following his two TDs in the 4th quarter when the game broke open. The Cowboys now have 2 games in hand plus the tiebreaker. May have knocked the Eagles out of the playoffs. Cooper stepped up in the big game, and is the Longhorndave Sportsman of the Week!